Are you still buying vegetable from the store? Organics are still compromised by poor soil and contamination from chemical fields and GMOs. Some are now passing off their fields as clean and the produce as organic but how can you be sure. How thorough are the tests? Can they be paid off to verify organic? We are moving into an era where we need to take control of our own lives, and our food supply. There is no excuse now to not grow your own super food. Even if you’re in an apartment. If you have a balcony or even a well lit room you can grown enough super food for a family of 6 including herbs. Take a daily dose of Diatomaceous earth and make sure your pets get theirs as well. Radiation and heavy metals from chemical in our environment can be eliminated in this way. You may not be able to stop all of it but you can protect yourself and loved ones and your neighbors with just these two efforts. 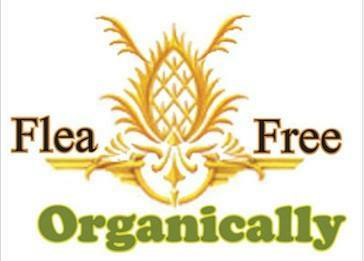 You can purchase the Nutritional grade Diatomaceous Earth and the Tower Garden on the Flea Free Organically site. I have been teaching protection from government sanctioned chemicals for 6 years now but I can’t reach enough people. I need your help. Just by helping yourself you can help us get the word out. Spread the word….let people know they have a choice. In addition, for every paying customer you send us you get free product of your choice. Once we are in full swing again the other life changing products will be sold here again as well. ProBiotics for all animals, Beta Glucans of the best and cleanest mushrooms available to protect your immune system and prevent diseases like cancer and diabetes. These, along with Smart Choice were developed by a local Cornel trained agricultural scientist in San Marcos. Please call if you have any questions or go to the site. It is an educational site where you can benefit from our research. But don’t forget to empower yourselves by doing your own research as well. Just remember, when doing research online there will always be two schools for thought so you must use your own good instincts and verify all information with multiple sources. The world is changing and we must learn to protect ourselves. We can no longer trust, or rely on anyone else to do it for us.